Since 1963, Master group of industries has been the most trusted name in bedding, furniture and healthcare industry providing products of unmatched quality with guaranteed customer satisfaction. Innovating from a technical collaboration with Bayer (Germany), Master MoltyFoam evolved as a generic name for foam. Established in 1998,Procon has proved its mettle as the leading car interior and other component manufacturer of Pakistan. Procon supplies high quality finished products and interiors to leading car, bus, motorcycle and truck manufacturers. Master Chemicals Ltd is a company that has put up great efforts and ventured into conserving energy with an intention of making its contribution to the nation’s economic growth. It also introduced Master Thermoshield, a product that could assist in saving substantial electricity and contribute towards a more energy efficient Pakistan. 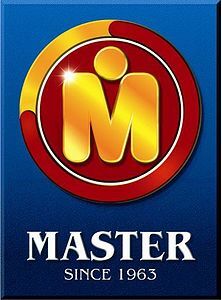 Since 1993, Master textiles has been one of the leading Textile Manufacturers of Pakistan. Equipped with state of the art spinning, weaving and garments facility, Master Textiles is dedicated to producing according to European and American standards. Master Motor Corporation Limited (MMCL) is an ISO certified automobile assembling; manufacturing company. It is an authorized assembler/ manufacturer in Pakistan for leading Commercial Vehicles from Japan & China. MMCL has a strong commercial base in both Public and Private sector organizations. Master Offisys excels in the field of manufacturing a diverse range of innovative, trendy and comfortable office furniture. Since its inception it has set a new benchmark in the world of corporate furnishing. At Master Wind, they are committed to growing their businesses in a direction that contributes to a sustainable and progressive Pakistan. In line with our commitment, their aim to provide a clean and reliable energy source by building and operating state of the art wind power facilities. Celeste Home Fashion is a premium retail lifestyle brand offering a wide range of ready-made signature bedrooms in styles ranging from classic, to modern, edgy, or minimalist to perfectly suit their customers’ style needs. Their research departments and technical testing laboratories confirm Master’s high standards of excellence; and working constantly to innovate and formulate new and better foam applications designed for your comfort.